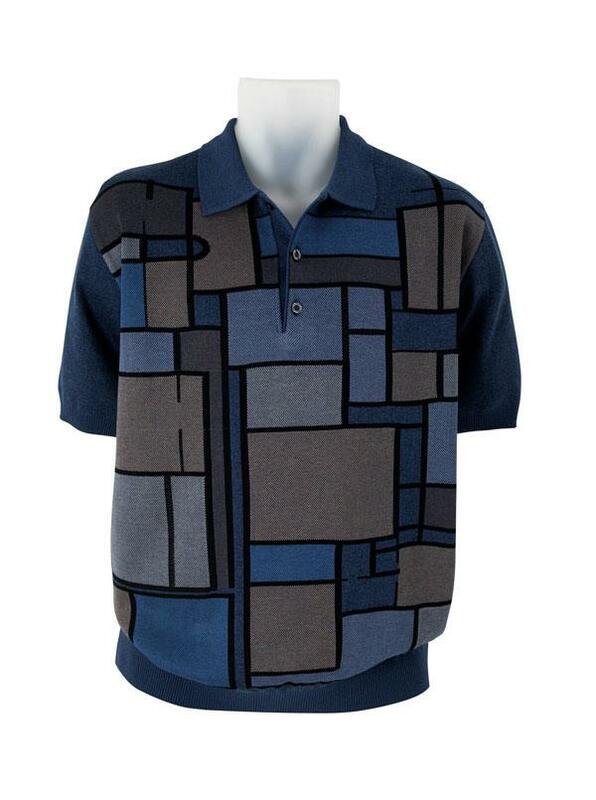 Jacquard Polo in a design inspired by 20th century abstract art, knitted in America of a washable blend of 75% cotton/25% microfiber. With ribbed cuffs and waist for wear in or out. Ribbed collar is specially constructed to keep its shape.